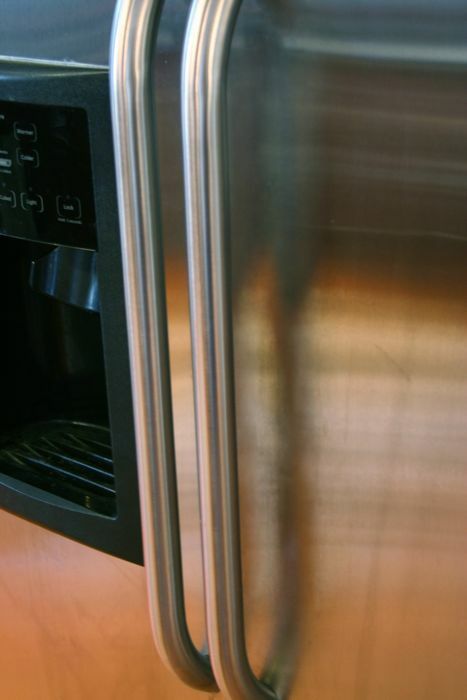 I like the look of stainless steel, but I do not like the look of grubby fingerprints all over my appliances. Some of you lucky ducks have fingerprint-proof stainless steel, but for the rest of us we need a cheap and easy solution. Awhile back, I shared my window cleaner recipe with you and it seems this cleaner works great on stainless steel as well! 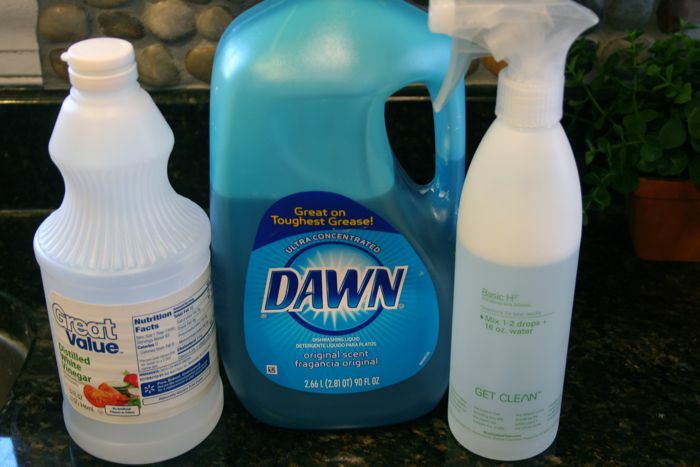 In a spray bottle, I mix together 2/3 parts white vinegar, a few drops of dish soap, and 1/3 part water. 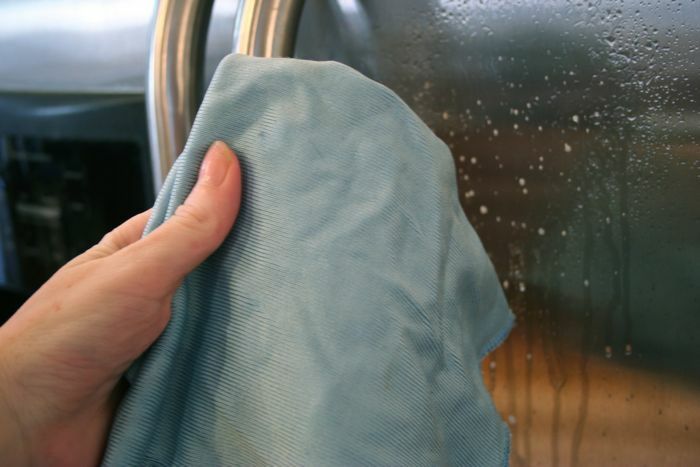 …and use a microfiber cloth to wipe it off. The cloth makes a big difference in getting a good clean. And here it is the much better after! Here is a reminder of what it looked like before. Ew. And again, the nice, clean, vinegar solution after! In other news, here is what I’ve been doing all day. Does it look like I’ve been working on it all day? No? Ugh. Well, I have and it’s just not coming together quickly. Hopefully within the next week this baby will be ready for a full reveal. Until then, let’s see you show off your big reveals! 2. Please do not link up posts that you’ve already linked up to a previous Tips & Tutes Tuesday link party. We like to keep content fresh around here! Beth, your blog is amazing! 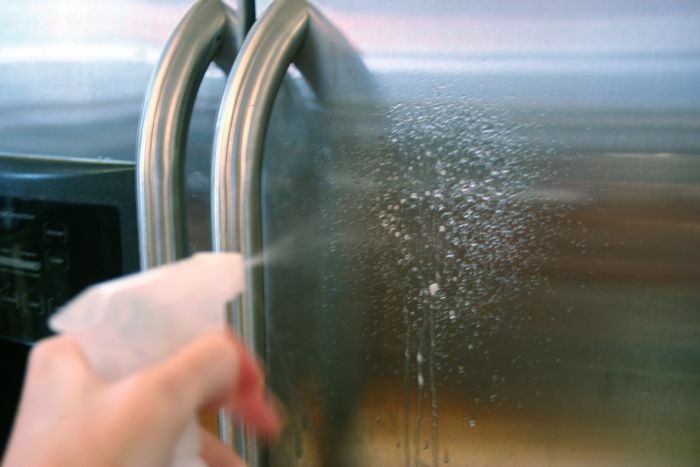 I happened upon it when searching for a way to clean stainless steel, SO glad I found it, I’m sure I will be spending hours on here:) Thank you for this tip! Great recipe! 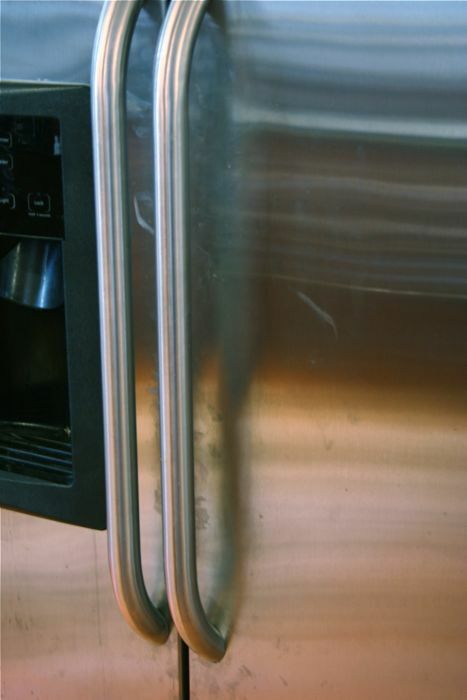 If you wipe with the “grain” of the stainless…usually side to side…it will look even smoother (like new). I’m an idiot, named my post after myself not after my project! Wanna delete it and I will repost? I’m very late, but I FINALLY got a post written about my son’s new bed. He and I built the IKEA Brimnes bed (which was actually a fun project to do together), then I made an upholstered headboard for him. And it all works great! I’m so happy to have his room working. 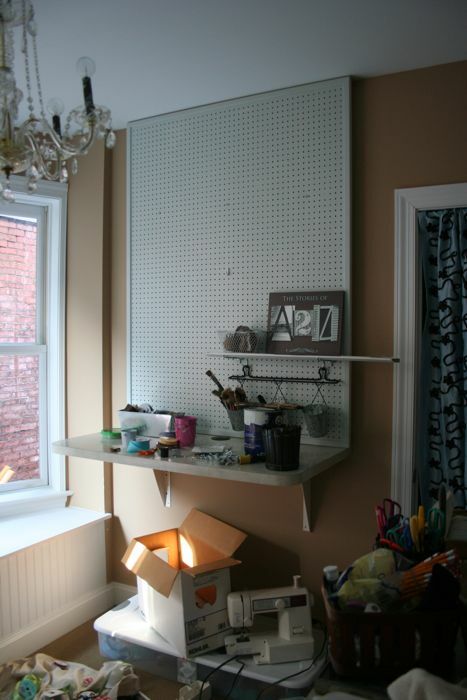 I wouldn’t exactly call it clean and organized, but it’s not half bad. . . and I’m happy with it! 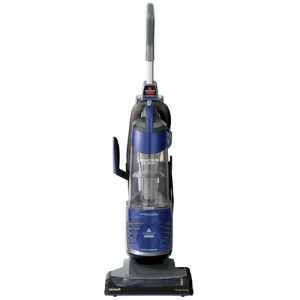 Simple and Green – the best kind of cleaning. Thanks for the tip and hosting the party. Thanks for the recipe Beth. SS cleaner is $$$. As much as I love the look, I hate those fingerprints. Thanks for hosting Beth!!! We just got a clean steel fridge! It still gets a little yucky… but not bad. Thanks for the tips though! 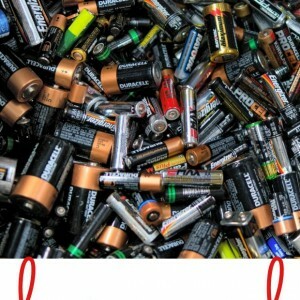 Thats a great tip!! Thanks, Beth! woohoo!! my link worked! thanks for hosting, beth! Guess I’m not fully awake yet – forgot to add my thumbnail pic. Oh well. Hey, I love using vinegar to clean! And microfiber cloths! I use them in absolutely every room! Thanks for the stainless mix. I don’t have stainless … yet. I can always dream though! Thanks for hosting! Thanks for the tip – I’m passing it along to my friend who just bought some special cleaner for her fridge. 🙂 And thanks for hosting the par-tay!! Stainless steel is the bane of my existence! I will give this a go, for sure! 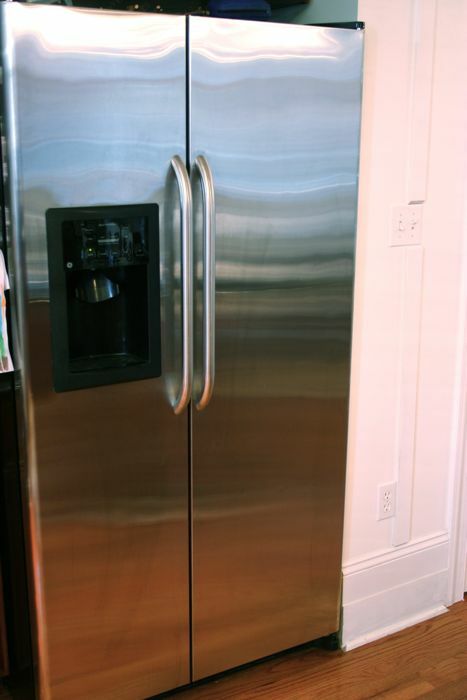 Beth, your frig looks great! Thanks for sharing how to keep it shiny and clean. I didn’t know they made stainless that wouldn’t show fingerprints…that’s good to know! Wow! Thanks so much for the tip. My fridge looks AWFUL right now. Like, seriously terrible. I wish I had something to link up, but for now I guess I’ll just drool over every one else’s projects. They’re so great this week! Thanks again for hosting a link party. I love seeing all that is happening around the world! Some very very creative peoples out there!! Michelle is right about the baby oil. I once bought a stainless steel cleaner and the main ingredient is mineral oil. Now I just use baby oil (after wiping it down). It really keeps it cleaner longer. I think I will try that solution for my black appliances; they show everything! Linking up! Thanks for the tip! My fridge could use that solution right now! Lots of little fingerprints and smudges! 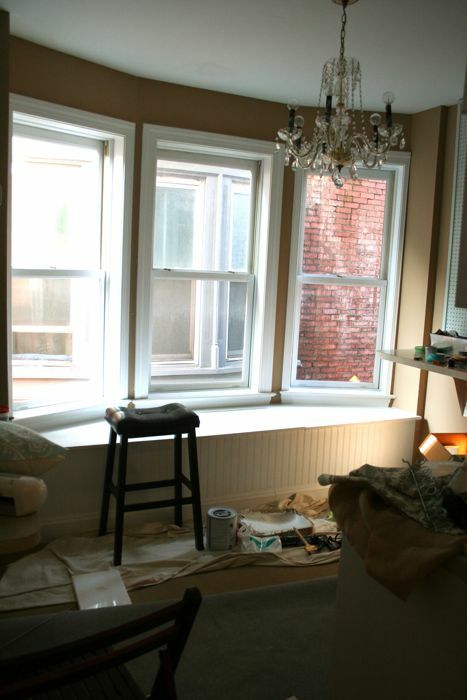 Can’t wait to see your finished space! It already looks amazing! That is a clever trick and cheap too! I have been using Multi Purpose Pledge on everything! Granite and Stainless included! I do love using vinegar though! I know I am crazy, but I like the smell of vinegar!!! I just did a post last week on cleaning stainless too! Funny! Great minds think alike 🙂 I use water and vinegar too and then buff it with baby oil at the end. Makes it easier to clean up for several days after! Also I have a very similar chandelier in my entry. Where is yours from? Linking up for the first time! Yay! I love cleaning with vinegar! It’s cheap and it works! I’m loving the tip on your stainless cleaner. We’re in the midst of a kitchen reno, so all of our appliances are covered in 3 sets of tiny fingerprints AND a layer of drywall dust. I’ve also linked up a tutorial for the easiest pillow covers ever. EVER. Promise. It’s number 8- thanks so much for hosting this party each week! Hope you’re having a great day! 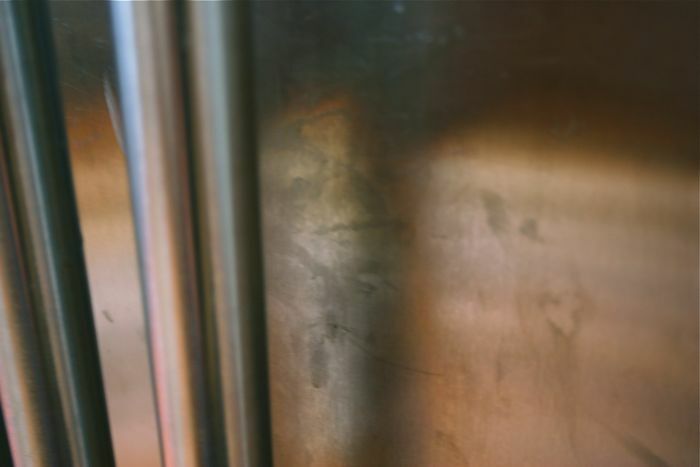 Ahhh thanks for the tips on how to clean stainless steel…I need that right about now!! The stainless steel is much cleaner but far too many streaks for me…any suggestions there? thanks for encouraging me, Beth!! HUGS!